No waiting. No delays. No calls necessary. No appointment. If you are reading this and think this is what you have been looking for , try it 100% risk free today - download Overcome Social Phobia and start noticing the benefits right away. 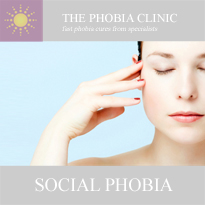 Visit our website phobiaclinic online | social phobia to learn all about social anxiety, how it starts and how it is overcome. Mindspa run the UK's leading specialist private phobia clinic in Harley Street - a world centre of healthcare excellence in London - where everyday our team of experienced, qualified therapists frees people like you from phobias like yours. Usually in a single session. This means that when you use the Overcome Social Phobia program you are tapping into our unique clinical expertise and experience. You can visit our website for our land-based clinics by clicking here.